Gamblogger: Post your pumpkin pics on Slots Capital Casino's Facebook page and win free spins on Scary Rich 2 slot game! 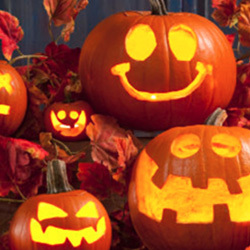 Post your pumpkin pics on Slots Capital Casino's Facebook page and win free spins on Scary Rich 2 slot game! This Halloween, get 50 free spins when you tag Slots Capital Casino in your Halloween jack-o-lantern photos on social media. A series of deposit bonuses leading up to Halloween culminates with 100 free spins on Scary Rich 2, a spooky Halloween slot game from Rival Gaming. Post and tag your Halloween photo October 16-31 and get 50 free spins on any of the casino's slots. Include your Slots Capital user name in your Facebook posting. Details are available on Slots Lotty's blog: https://www.slotscapital.lv/blog/lotty-s-adventures/113-blog-pumpkin. "After you've carved your pumpkin, take a pic and put it on Facebook!" said Slots Capital's casino blogger, Slots Lotty. "Tag Slots Capital Casino and get 50 free spins! No trick, just treat!" Scary Rich 2 is a frighteningly fun horror-themed slot game with ghoulishly generous bonus features. Werewolf Scatters trigger 13 free spins with up to 13X prize multiplier. The Wild is a Coffin and during free spins it's an Expanding Wild giving extra chances to win. Five Coffins pays 10,000 coins. A series of Halloween deposit bonuses is also available this month. Claimed in sequence, the final deposit bonus adds 300% to deposits up to $500. Players that claim all three bonuses will receive 100 free spins on the Scary Rich 2 slot game. Deposit $35 - $500. No max. cash-out. Claim all three in sequence to earn final no deposit bonus of 100 free spins. No max cash-out on deposit bonuses. No deposit bonus available to all players that have claimed the first three bonuses. Slots Capital has dozens of unique slots from Rival Gaming as well as table games like Blackjack and Roulette. All games can be played on desktop and laptop computers or in the mobile casino for smartphones and tablets.